Pros: Crisp, detailed views at a price that’s hard to believe. Packed with premium features you normally only see on much more expensive binoculars. Lightweight and robust thanks to its magnesium alloy chassis. Cons: Not many… a little softening evident around the field edge, but not noticeable in normal use. Focus wheel has a bit more resistance than I was expecting, but you soon get used to it. With its new Endurance ED range British company Hawke packs an impressive array of high end features, and great optical performance, into a robust lightweight package that’s comfortable to carry and easy to use. There’s an awful lot to like about the Endurance ED, and very little to criticise at a price that is, quite frankly, unbelievable. Can you get better optics… yes. Can you get better optics for the price… I’m not so sure. View the Endurance ED 8×42 on the Hawke Optics website. Look out for our review of the more compact 8×32 version of the Endurance ED soon. See our review of the Hawke Endurance ED 8×32 here. 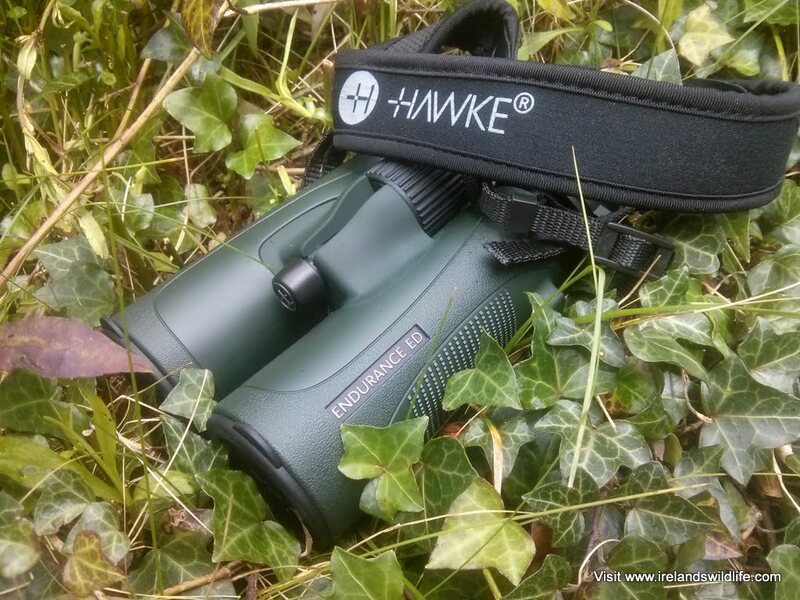 The Hawke Endurance ED offers a whole lot of binocular for the money. Hawke Optics has gained a reputation as a company that offers high quality birding and wildlife optics at a very attractive price point. My first experience of using Hawke for myself was when I reviewed the very impressive Frontier ED 8×43 in 2013. The Endurance ED is a step down the Hawke range, but the recently revamped model, now sporting high end features like ED glass and a magnesium alloy chassis, has a lot to offer on paper. Let’s see how that equates to real-world performance. Hawke has adopted the contemporary single-hinge design with the new Endurance, which is one I personally favour. 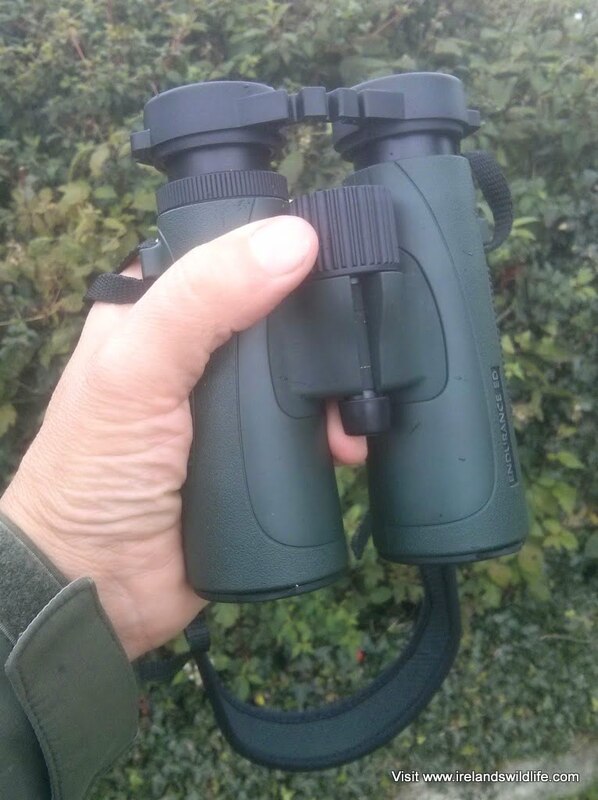 The outside of the binocular is covered in a textured hard rubber armour (green in the model under review here, also available in black), and the quality of the finish is very good indeed. All in all the Endurance ED looks and feels like a very well put together binocular. The compact design, coupled with the use of magnesium alloy in the housing, also makes this a relatively lightweight full size binocular (tipping the scales at just 652g). It’s impressive to see magnesium alloy used for the chassis at this price point, as it’s widely regarded as the “premium” material reserved for high-end models. When you raise the binoculars to your eyes the balanced design, well placed thumb indents, textured rubber grips on the outside of each barrel and the compact, single hinge design make for a comfortable viewing experience. This is a binocular you can use for long periods without experiencing any undue fatigue. The one slight mar to the handling experience for me is that on occasion I’d grab the binoculars and feel the lugs where the strap attaches digging into my hand. It was easily cured by shifting my grip slightly, and didn’t affect the overall experience of using the binocular, but it was a minor annoyance. Focusing with the Endurance ED is quick and accurate. The focus wheel turns smoothly, if a little more stiffly than I’m used to. I’m sure this is an intentional design decision on Hawke’s part, as the Frontier ED had relatively stiff focus too. The mechanism has 1.2 counter-clockwise turns from a close focus of 2m out to infinity. This is a relatively aggressive focus ratio, and means you can change your point of focus very quickly from a distant subject to one nearby and back again. One of the problems with that is a tendency to overshoot the point of focus, but the inherent resistance built into the focussing system tends to prevent that problem from manifesting itself here. No surprises. There’s a standard dioptre adjustment dial just below the right hand eyepiece which does not lock but is stiff enough not to move easily once set. While there are zero, + and – markings on the barrel, and an indicator on the dial, there isn’t a scale to show your exact dioptre setting. That’s a shame, as it’s such an easy thing for manufacturers to do, and would make life a bit easier if you routinely let other people use your binoculars. One other thing worth noting here is that, while I don’t generally have to adjust the dioptre on binoculars (i.e. I have the dioptre set at zero), with the review sample I did need to adjust the dioptre slightly to get a perfect image. Once set though the binoculars performed flawlessly. 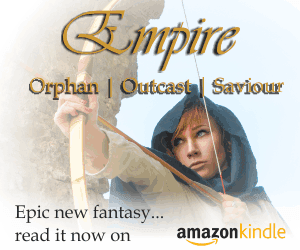 The Endurance ED has pretty standard contemporary twist-up eye-cups. They appear to be made of metal or very hard plastic, coated with a semi-hard rubber cushion. These are comfortable to hold up to your eyes, and offer three click-stops for adjustment (fully down, fully up and one intermediary stop) with a maximum quoted eye relief of 18mm, which puts them in the “long eye-relief” category and means they should suit most glasses-wearers. As you’d expect from any contemporary roof prism binocular the Endurance ED is fully waterproof and nitrogen purged, making it waterproof, dust-proof and impervious to internal fogging. This is the real crunch area for the Endurance ED. 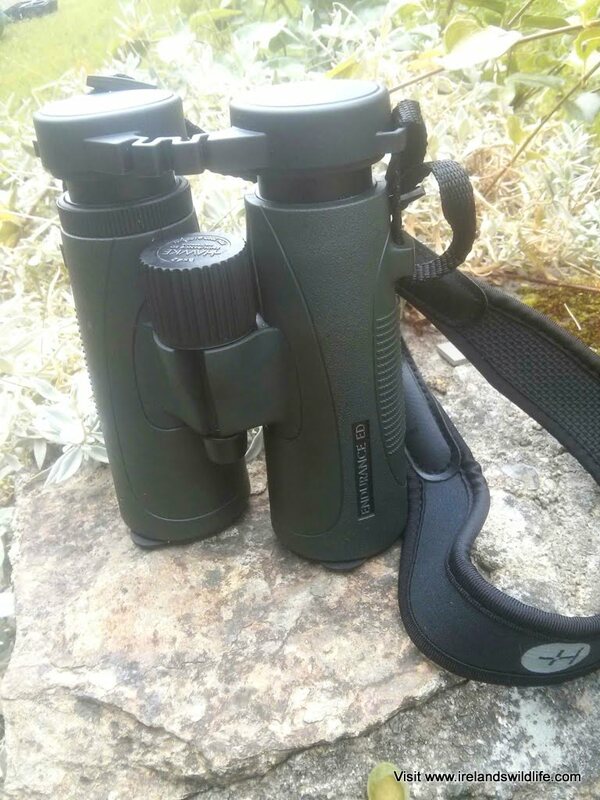 It sports some impressive high-end features, but can a binocular that retails at well under €300 / £200 really deliver the optical performance birders and wildlife enthusiast demand? To say I was surprised when I looked through the Endurance ED for the first time is a bit of an understatement. I almost had to check the box to make sure Hawke hadn’t sent me their flagship Sapphire ED model by mistake. The image is bright and subjects appear sharp and well defined, with plenty of fine detail. While it doesn’t quite “sing” with the sort of vibrancy you get with the very best optics on the market, it is extremely impressive when you consider the Endurance ED costs less than a tenth of the price-tag premium manufacturers place on their flagship models. The field of view of the 8×42 Endurance ED is reasonable at 129m @ 1000m (388ft @ 1000yds), but not exceptional for a contemporary 8×42 roof prism. There’s also a slight softening of the image as you move towards the outer edge of the field, but that’s to be expected, and doesn’t detract from the overall viewing experience. To my eyes the colours through the Endurance ED appear to be neutral, vibrant and properly saturated, with very good contrast. The ED glass does a great job of controlling chromatic aberration (colour fringing) when viewing high contrast items. You can see some chromatic aberration if you try hard enough (looking at intensely backlit treetops and focussing on the edge of the field for example), but it wasn’t noticeable in normal use. According to the Hawke literature all air-to glass surfaces on the Endurance ED are fully multi-coated (FMC) to improve light transmission, reduce glare and improve overall optical performance. You would expect any contemporary roof prism binocular to be fully multi-coated (and if it’s not then don’t buy it, period). Hawke doesn’t offer any more details as to the nature of the coatings used, or the type of mirror coating used on the phase-corrected BAK4 roof prisms, so I won’t speculate here. What I can say with confidence is that the Endurance ED performs well as light levels fade, delivering bright, high-contrast views well into twilight. It also takes difficult lighting conditions in its stride, only exhibiting minimal glare in extreme conditions (something you get even with the very best binoculars). I know the box isn’t really an accessory, but I think in this case it warrants a mention. The box is the first part of your customer experience with a new binocular, and Hawke has certainly put a bit of thought into this one. The design is a beautifully understated white-and-grey affair, and gives you a sense of quality and attention to detail before you even get to the binocular inside. It’s a nice touch. Inside the box is a semi-hard black protective case. I’m not much of a case person: my binoculars never see the inside of a case, because they’re used so often, and a case just gets in the way. However, as far as cases go this is a very good one. The wrap-around zip makes access easy, the semi-hard shell affords protection to your optics, and there’s a convenient little pouch for holding bits and pieces. Apart from that you get the usual array of accessories, a microfibre cleaning cloth (enough said), a padded neoprene neck strap (that could perhaps be a bit more padded), an eyepiece rainguard that attaches to the strap, and tethered objective lens covers. Most tethered lens covers slip tightly over the ends of the binocular barrel, but Hawke has adopted a different approach. A lug on the lens cover slots into a groove in the rubber armour to attach the cover securely to the binocular. Hawke has been taking this approach for years, and it seems to work well. Interestingly premium manufacturer Swarovski Optik has just adopted a similar approach with it’s newly revamped flagship EL family of binoculars. Hawke Optics offer a limited lifetime warranty on their optics. You’ll find full warranty details on the Hawke website here. 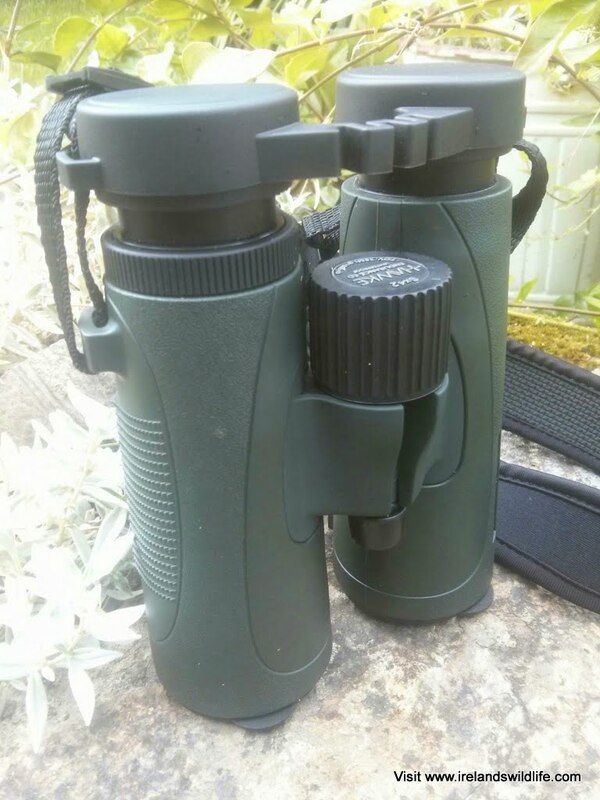 I genuinely enjoyed using the Endurance ED as an everyday binocular, and that surprised me, because I’m used to using high-end binoculars on a daily basis. It’s a great testament to the quality of these mid-priced Hawkes that I’d grab them if they were nearby, rather than going to fetch my first choice binoculars. In the Endurance ED Hawke has come up with a very compelling blend of features that deliver superb optical performance in a compact, robust and lightweight package. All of this at a a price that offers tremendous value for money. I’ll certainly be recommending them to guests on our Discover Wildlife Experiences who are looking for high-end performance on a tight budget. 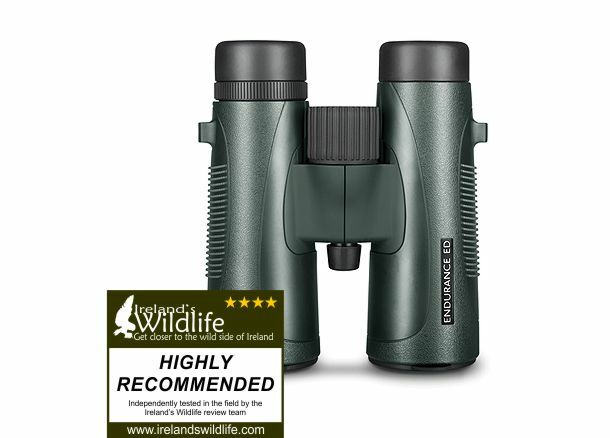 I’d like to thank Hawke Optics for providing the Endurance ED 8×42 for review on Ireland’s Wildlife. Eagerly awaiting your review of the 8 x 32 ED, coming soon?. I have a pair of Minox 8×42 bl’s. Due to carrying camera I am looking at down sizing the bins. Shortlist is the above along with Nikon M7 8×30 ED and minox 8×32 HD. What a coincidence… just seen your comment there as I’m finishing off the review. I’ll be posting it a little later this morning :-). One of my guest reviewers had them for a while, but something came up and he couldn’t write up the review, so he returned them to me. I’ve been putting them through their paces over the last few weeks and I’m very impressed. If I had to choose between the 8×32 and the 8×42 I’d go with the more compact option — superb bins all round… and unbelievable value for money.